Wi Fi roaming bugs is one of the major bugs for android phone users. As of now, mainly three bugs are existed. The XDA forum member felixchris released a hack that fixes at least one of the three WiFi roaming bugs. 1. The phone never tries to roam by, unless it completely loses signal. Then it connects to the strongest AP. This is the typical Galaxy S2 bug. 3.The phone tries to roam as it can see a better AP, but drops the connection and reconnects to the stronger AP shortly after. That’s the typical Galaxy S3 and Galaxy Nexus bug, which is fixed by the hack described in this thread. Within these three bugs, you can just fixed only the third bug. There are two methods to apply the fix. One is a version that doesn’t require a custom recovery, otherwise known as the old fashioned long way. The other involves flashing a zip in a custom recovery. Once installed Bug 3 shouldn’t be an issue any longer. DISCLAIMER : Best Android Blog would not be held responsible/liable for any damages that takes place to your device by following this procedure. So, do everything at your own risk. Before start to proceed we highly recommend you to take a full backup of your datas with the help of CWM-backup application. Because this is a risky procedure and there is a chance to wipe your datas. So, we strongly advise you to take backup. Further, we also suggests you to charge your device battery fully to avoid the risk of your device getting switched off during the middle of the process. If you could not do so due to any unavoidable reasons then make sure your device have the battery level of atleast 60-70%. Then disable all the antivirus suites both in your mobile and computer. Because this may interrupt in the installation process. If it does not interact then you no need to uninstall. 2. Then search for your original “wpa_supplicant”-file in \system\bin. 3. Then copy your original “wpa_supplicant”-file to any location you will remember in case anything goes wrong. Please keep in mind that before you start to proceed the given below installation instructions you should know how to use a Custom Recovery. Unless you are not suppose to proceed. 2. Then copy the downloaded file to your SD Card. 3. Search for your original “wpa_supplicant”-file in \system\bin. 4. Copy your original “wpa_supplicant”-file to any location you will remember in case anything goes wrong. 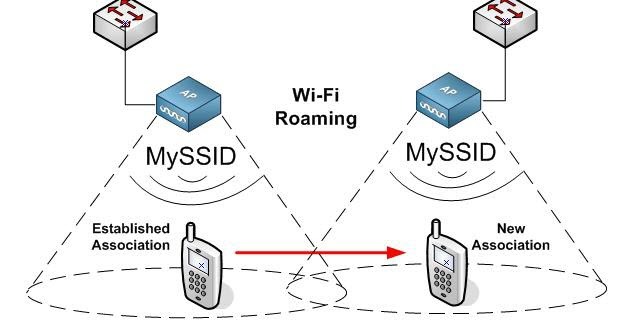 Your device should now roam correctly from one AP to another. Enjoy!